Courtesy of JVR Music International Ltd.
Q: If the Wooshi-Finger Hold puts you in the Spirit World, where is Tai Lung? Q: What does selecting Po as the Dragon Warrior mean? Time to go back into the world of DreamWorks animation. I had read more information about the company's corporate shakeup that not only involved several people replace and relocated, but it also involved the closing of the Northern California studios and the reduction of the output of feature films. It seemed like a formidable movie fiscally, until the release of last year's Home, which I mentioned that I didn't care for. I guess I wasn't the only one as the critical reviews were tepid, and the box office numbers were low (not a failure, but not even close to a hit). Has DreamWorks truly learned? If the new original features aren't doing well, then the next strategy would be to take advantage of some of their past hits. Shrek, Madagascar, and How to Train Your Dragon seem to be the franchises that they like push and make more sequels and television programs. I like those movies (except Madagascar), though my favorite is the Kung Fu Panda films. This is the ultimate "don't judge by its cover" story as it's dumb title is really a silly martial arts story that teaches a lot about Chinese philosophy. Po's training is taken the next step in Kung Fu Panda 3. Master Shifu (played by Dustin Hoffman) has announced that's he's stepping down as the teacher of the Furious Five: Master Tigress (played by Angelina Jolie), Master Crane (played by David Cross), Master Mantis (played by Seth Rogan), Master Viper (played by Lucy Liu) and Master Monkey (played by Jackie Chan). 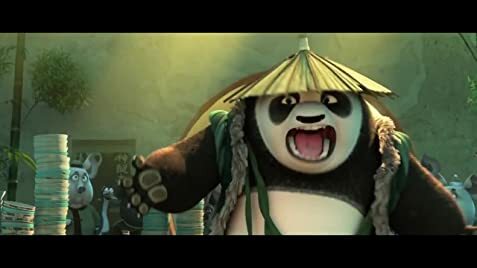 Shifu says that the only one who can teach them is the dragon warrior, Po (played by Jack Black). Po is still his silly self and doesn't feel like he can be a good teacher. It's evident on the his first day when the masters are unimpressed. 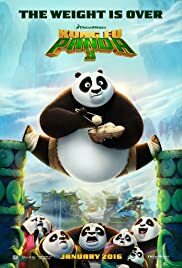 While visiting his adoptive father Mr. Ping, a large panda named Li Shan (played by Bryan Cranston) comes looking for his long lost son. Po is excited to finally meet his father let alone another panda, who were thought to have been gone. Shifu knows that the Panda's were masters of controlling chi, so he tells Po to go with his real father to discover chi. Within the hidden Panda village, Po learns more about being one of his own and learning more about his family. Meanwhile, Kai (played by J.K. Simmons), a powerful spirit that can take away one's chi has entered the mortal world in order to gain chi from all the Masters. Tigress shows up at Po's village to reveal that all the masters have been taken by Kai and it's up to Po to fight him and teach Kung- Fu to all the pandas. Kung Fu Panda 3 still boasts some of the most beautiful computer animation I've seen from DreamWorks. It is so atmospheric, that this is one of the few movie worlds I'd love to live in. The characters from the previous movies are all back and play up their parts just fine. The newcomers Bryan Cranston and J.K. Simmons both bring in their own spark, fitting in just fine. Without giving anything away, I only have two gripes. While J.K. Simmons does well as Kai, he's not as intimidating as Gary Oldman from Kung Fu Panda 2. Also, when Po's father Li Shan make a big discovery about himself, it's a little rushed. I'll give this eight Chinese scrolls out of ten. This is a part of a series that is just so funny and beautiful, that I find it hard to find much to nitpick. Kung Fu Panda 3 is a great piece of family entertainment that should get both the parents and children engaged. I hope these characters continue Kung Fu fighting for a while!